Nobody wants their lawn or garden to look shabby, coarse, or having brown patches. A lot of effort is required to keep your lawn manicured and moisturized. However, you could make your garden lively again by adopting a few water-saving strategies. 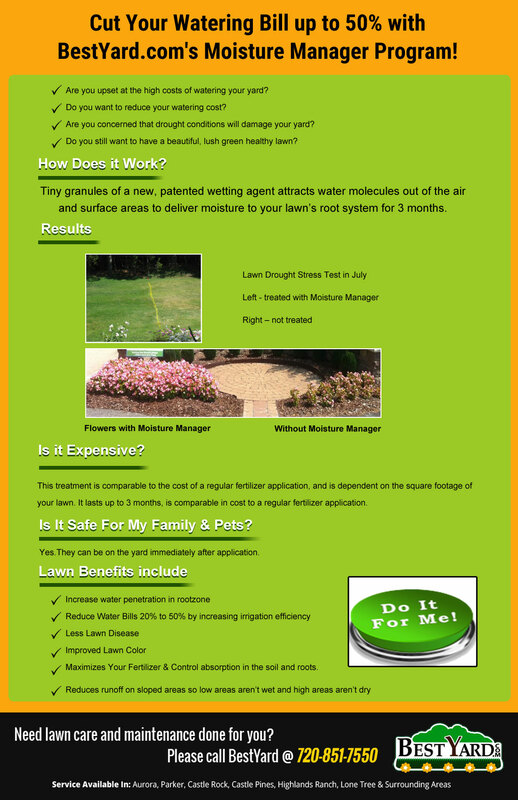 One of the water saving tips for your lawn and garden is to adopt Moisture Manager Program. In the following Infographic, created by BestYard.com, we are sharing one of the best water saving tips for your lawn and garden that helps in maintaining existing turf and plants as well as ensuring the survival of new sod, seed, sprigs, bedding plants, shrubs, or trees.